Batman fights off the Talons, lowering the temperature in the batcave to finish them off. He narrates a symbolic story of his ancestors using owls to hunt the bats out of the caves, only for the bats to return once the owls left. After he makes his way out of the cave he manages to get his hands on some names of people involved with the Court of Owls. There is a backup story involving Alfred’s father and a mystery involving the Wayne family. It ends with the reveal that the family was targeted by the Court of Owls even when Bruce was still a young child. This is what the Court of Owls is all about. Batman fighting off a horde of near undead assassins. I honestly can’t say much more than that the issue is absolutely wonderful, with Batman winning by a margin, though one wonders why Bruce Wayne warranted to many Talons, when everyone else who might have been better protected got maybe one Talon each. I admit Batman is one of the harder series to review. Mostly because I generally can’t find anything to complain about. I guess I could complain about the extra dollar I spent, but for the extra material I can’t complain all that much. I just consider it the price of quality. Solid art and writing make this the one book that really knows where it’s going with the Court of Owls. Overall I have to admit that this didn’t need to become an event. It works as one, but if the story had been contained to just Batman we would have gotten just as much out of it as we have so far. 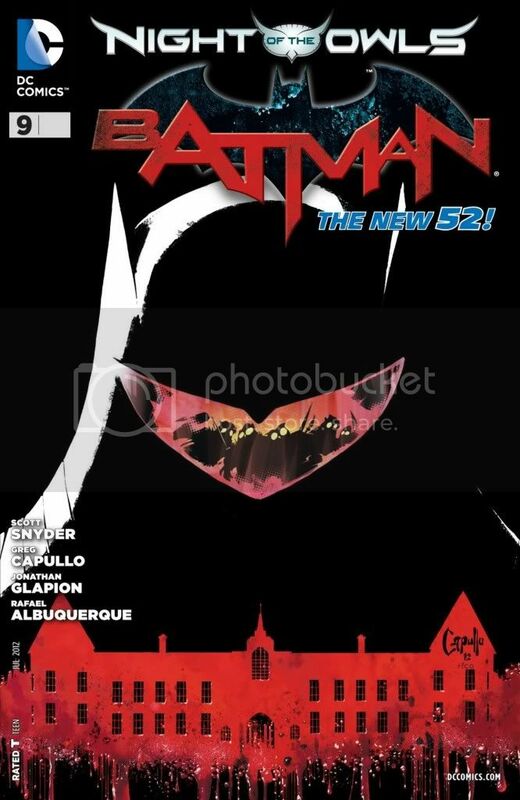 Still, with the event wraping up I have to say this has been one of the best Batman stories in recent years, and my overall opinion of the New 52 aside, I’m glad that at least one good story came out of it.